What Are The Advantages Of The Packaging Machine? 1. Wide range of packaging machinery: On the market: food, chemical, pharmaceutical, light industry are used (the machinery industry is relatively small). 3. High efficiency: The output of packaging machines in the Chinese market is close to 120-240 pack minutes instead of the manual products of the 80s. The output is much more than several times. 4. Clean and energy-saving Use the packaging machine clean and hygienic. No need to do manual work. May use clean, save materials, save money, save money, and save the environment. 5. The side-opening protective baffle with good visibility is safe to operate. 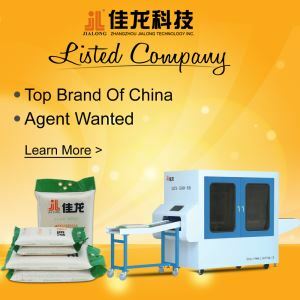 It can automatically complete the functions of bag making, metering, blanking, sealing, slitting, counting, printing batch number (can also be configured according to customer requirements). Can include food vacuum packaging machine, household vacuum packaging machine, small vacuum packaging machine, desktop vacuum packaging machine, single chamber vacuum packaging machine, double chamber vacuum packaging machine, three-dimensional bag vacuum packaging machine, various electronic vacuum packaging machines, etc. ; It is used to package various foods, meat products, seafood, fruits and vegetables, pickles, chilled meat, pharmaceutical products, hardware components, medical devices, etc.